Sorry for the long read, but I felt the background info was necessary to diagnose the problem. Please help! My Magnum started to vibrate in a very odd manner roughly a year ago. I replaced the inner and outer tie rods with Moog components. Then I replaced the front rotors and pads. 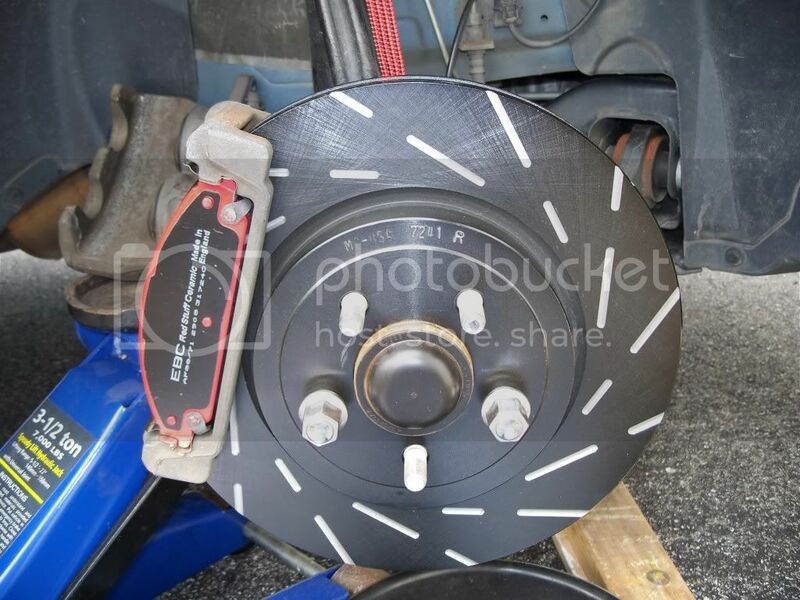 Several months later I replaced the rear rotors and pads. It improved the shaking significantly for a while but never fully took care of the situation. The brakes squealed from day one and never quit. The car was shaking so bad and felt so unstable that I stopped driving it on the highway. I finally took it to the shop and they replaced the inner tie rods and did an alignment. This helped with the "unstable" feeling, but the shaking remained. The alignment is also off a good bit. With the inner tie rods refreshed it was pretty obvious that the front rotors were warped. 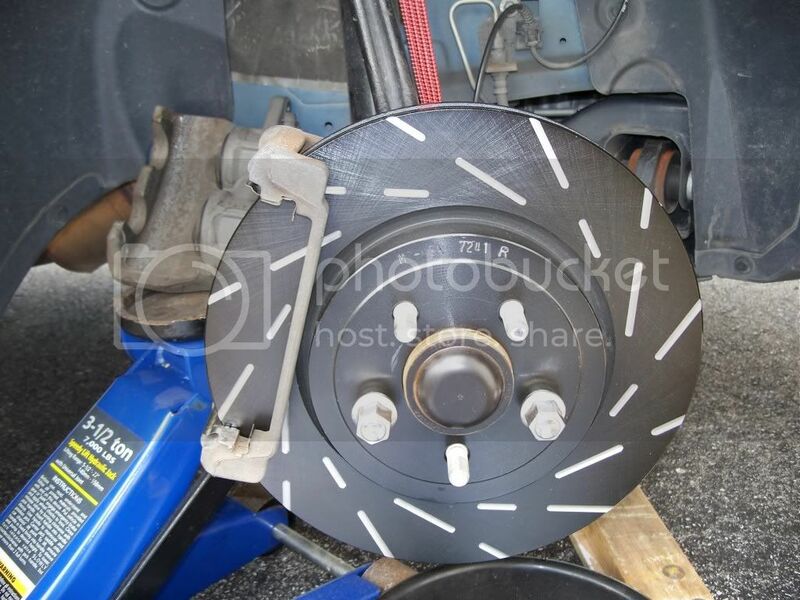 So, I contacted Glenn and got a set of R1Concepts slotted rotors and Posi-Quiet pads. I just put them on yesterday and headed up to the PA Auto Show in Harrisburg. The car felt great for about 5-10 miles. Then the shaking came back...stronger than ever! The steering wheel was shaking quite violently and it was definitely speed sensitive. If you hit the brakes it got even worse. We were debating whether or not to take the car back home and grab the Grand Am when the shaking slowly faded and the car was fine again. WTF? I set the cruise at 55mph and after several miles the shaking came back. It went away and came back once more before arriving at the auto show. The shaking was almost non-existent on the way home, but it did act up for about 8 miles in the middle of the trip. When I took the right front wheel off to change the brakes, I had to beat on the tire to get it off the car. I never had to do this before. This make me think that the shop that did the tie rods did not put the tire on straight. I'm just not sure. Definitely odd though. I had a difficult time compressing the pistons on the right front caliper too. 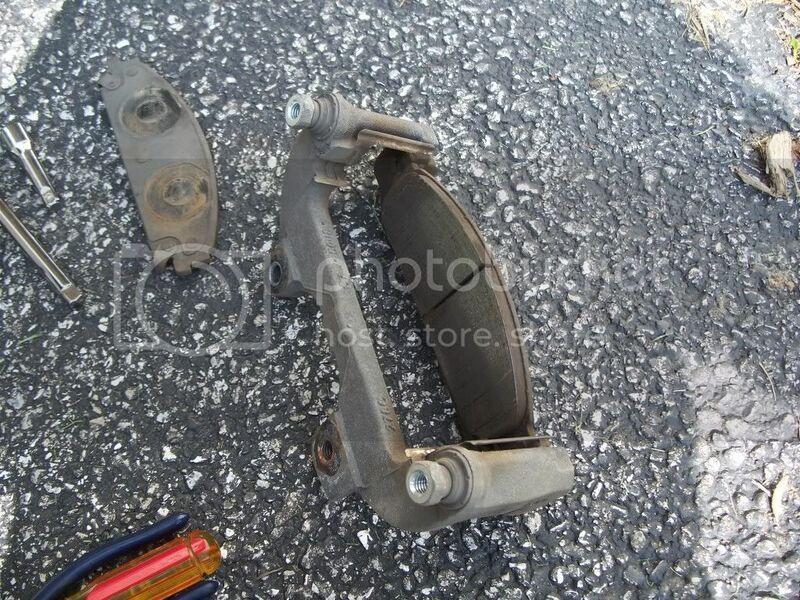 As for the left front caliper, I believe that it is bad. I took the pads off of the left front and put them face to face (braking surface to braking surface). They made contact on the ends but there was a gap in the middle as if one or both of the pads were bowed (think of it as a cat's eye). I also noticed that the pistons were not the same length. The leading piston (as if moving forward) was out 1/8 - 1/4 of an inch more than the other piston. Both retracted normally. I do know that the bushing on the tension strut is partially torn. It is not torn the entire way around...maybe half way around. Both sides (driver and passenger) are this way. So, with all of that... new inner tie rods (again), new rotors and pads (again), marginal alignment... what could cause such violent shaking? And why is it so inconsistent? I'm getting a really bad feeling that this is going to turn into a money pit real soon. Last edited by stingrayj; 01-30-2011 at 06:39 AM. If the tension struts even looked ripped, much less are visibly so, I would do those first. AIRBRUSHED ENGINE COVER, Painted Calipers, 100HP NITROUS! One of 116 Built!!!!! I'm not sure that I know what you notches you are referring to. Have any pictures? I was thinking that this would be the next step. But, would that cause the inconsistent vibration that I am getting? I gotcha. The Magnum pads are pretty smooth to start with. I'll try to get a picture of the old pads when I get home (will be late). I don't believe that there would be an issue with those, though. I do grease the clips well before installing the pads and when I took the old pads out there was still grease in the clips. Last edited by Radglenn; 01-30-2011 at 07:12 AM. Found some old pics. Maybe this will help to explain. Last edited by stingrayj; 01-30-2011 at 07:46 AM. The pistons in the calipers can appear to be different lengths. They move independent of each other. If you try to compress one, the other may pop back out a bit. 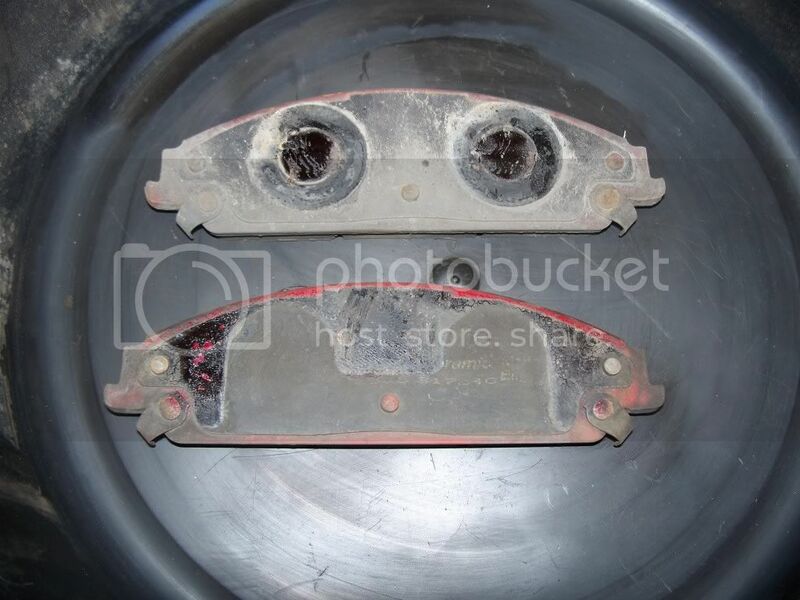 it happened to me back when I still had my OEM calipers. Not to worry, just use an old pad or piece of wood, they should even up. 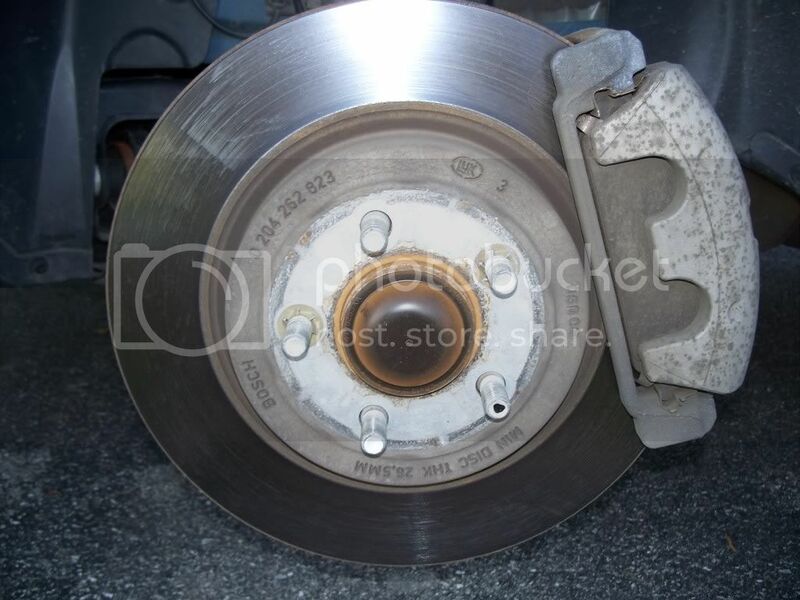 Just a reminder.....Not an accuisation........These brakes and rotors need to be broken in properly when new. It's possible that pad transfer is responsible for the "pulsating" feeling and not warped rotors. Have you tried changing brake pads?....Not just new pads but different new pads. The first set of pads were the OEMs. I changed those out to EBC Red Stuff. Now I have Posi-Quiet pads. So, I have tried different brands. Part of my logic in buying the Posi-Quiet pads is that they are pre-scorched and do not require a break in period...or so they claim. The vibration would come and go while just cruising along without touching the brake. I know that doesn't necessarily matter, but this much vibration seems to be more than just a break in period issue. Both the pads and rotors are new as of yesterday, so unless there is a manufacturing issue with those parts, I don't believe that this is a warped rotor issue anymore. Before I changed them, I believe it was a warped rotor, but now I am second guessing that. I will drive it more before throwing more money at it just to be sure that it is not a break in issue, but as bad is it was shaking the steering wheel and the entire car, I just can't believe that it is the brake setting in. The vibration that I am feeling is so strong that it would seem more likely that one or both wheels are toeing in and out as I am going do the road. I did check the tie rods when I was doing the brakes and there is no slop in them now. Did you try spinning the rotors with the wheels off? I remember asking you this way back when. It will help with either eliminating or narrowing the brakes as the cause of your current issues. I did not do that with this last set. I just ordered the new brakes and installed them. The vibration was present between 35-60mph (the fastest I went). When I slowed down enough (below 35) the vibration faded out. As soon as you accelerated again it came back. It's not something that just appears and disappears. It gradually gets worse and better. 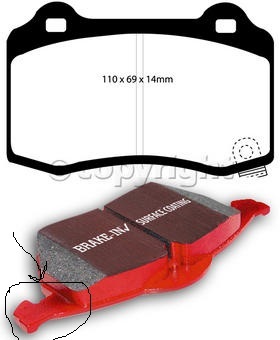 If you are braking while it is shaking and you come to a stop, you can feel the car slightly nose diving as if the brakes are pulsing, but you can not feel any pulsing in the brake pedal. The brakes were quiet the entire trip too. I can jack the car up quick and do the spin check when I get home later.